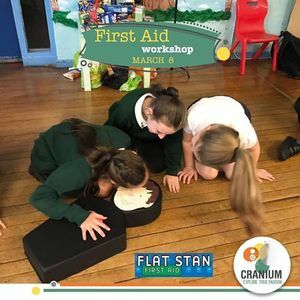 On #Teachersday , Friday March 8, #MedboXSAL will be conducting one more time the international Flat Stan First Aid workshop #Educatingchildren starting 4 Years Old. The workshop is organized by Cranium STEAM Education Platform and will take place at their Premises in #Jeita. Booklet illustrating the content and Certificate will be handed to every #LittleOne.